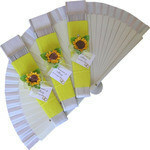 Plain white wooden fan with white fabric edge decorated in the form of bride and groom. 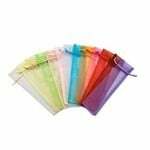 Perfect for weddings, prom nights, summer balls, evening balls, party favours and much more. Bride Fan: Beautifully decorated with white and pink paper in the form of a dress with pink bow. 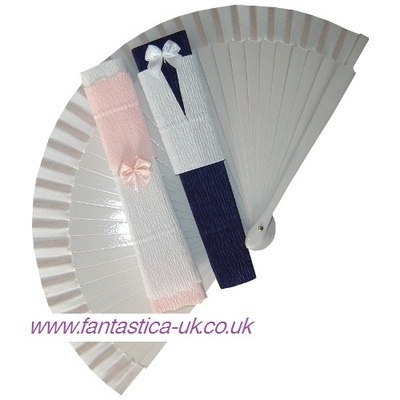 Groom Fan: Beautifully decorated with white and navy blue paper in the form of a suit with white bow.